Making sure your home or business is secure is one of the most rewarding things you can ever invest in, for yourself, your family and your customers you can have piece of mind to know that you, your loved ones, your possessions and products are safe also your customers feel safe when in your workplace. 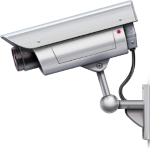 We have devised indoor security CCTV Solutions that will suit any home or business. Our packages can be tailored to cover your needs at a budget that suits you. We install it and do all the hard work for you! Introducing G2G Security Services, we will make sure that your business is secure. First you need to decide how many cameras you are going to need, we are not allowed to place cameras outside for legal reasons but we can place them inside facing outwards. Save yourself any hassle in the future and you can enjoy peace of mind when you sleep at night. We can cater for small – large business or even home owners! Don’t worry if you are not completely sure what you need for your business, it is best to start small with our basic security package and then make additions to your order based on what you think is right for you. When your order is confirmed we will set an install date for you for as soon as possible and come and install it, your business will then be secure and you can put your mind at rest. We cater for any business! You will also get the editable versions of the posters. Maintenance: £25 per month, 1 callout per month or £50 per callout.